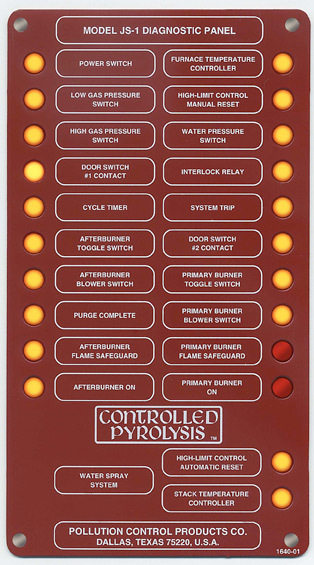 On-Board Troubleshooting | Pollution Control Products Co.
Every Pollution Control Burn-Off oven comes with its own "Serviceman On Board" -- The Diagnostic Panel! 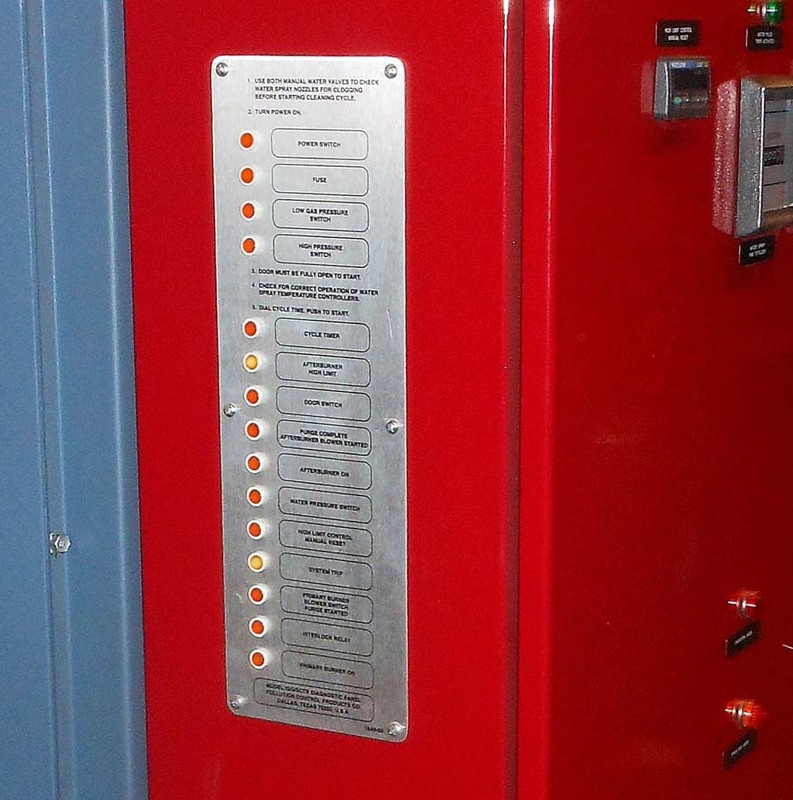 Located on the side of the main control box cover, its vertical rows of neon lights indicate the operational status of the oven and its individual controls. The Diagnostic Panel not only shows the sequence of start-up -- each neon light illuminates as its particular switch or relay is energized -- it also works as a troubleshooter. 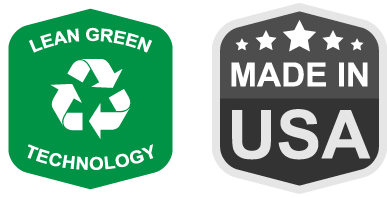 When lights fail to illuminate, it helps pinpoint operational problems should they occur.